It’s never too late to call us when you need a reliable garage door company in Houston. Our expert technicians are hard working and friendly. When we provide any of our excellent services to any customer, we all work together to make it a success from the beginning until the end. Garage Door Repair Houston is ready to take your call today. We’ll answer your call, get the information we need to help you, and send over our techs as soon as we can. We can often provide same day service. We’re a contractor you can count on for any garage door project. One thing that makes us such a great garage door company is that we are reliable. No matter what kind of service you need, our door experts can help. Other companies might arrive late to a scheduled visit, but not our techs. We arrive on time, every time. When you choose us, you get a professional garage door contractor for any project. We can be contracted for any service need at any type of location, including homes and businesses. Our service techs perform well in any situation. 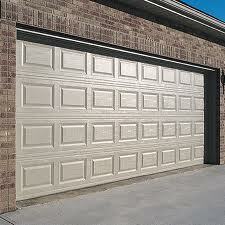 We provide a number of garage door service types for different needs. We can be called upon for professional repairs, replacements, installations, and maintenance services. We’ll work hard to ensure your satisfaction and get the job done right. Some garage door companies take their time to get a job finished, but not us. We’ll get it done quickly without any setbacks. We are a local garage door company that you can trust. We provide affordable service in a timely fashion. We work hard, and we always strive to earn your satisfaction. Call today when you need a reliable garage door company in Houston.